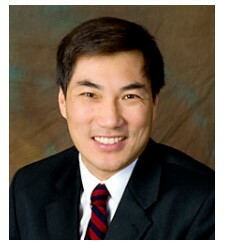 Dr. Lee is a Professor in the Departments of Ophthalmology, Neurology and Neurosurgery, Weill Cornell Medical College. He is a Neuro-ophthalmologist and is the Chairman of the Department of Ophthalmology, Blanton Eye Institute, at Houston Methodist Hospital. He is also an adjunct Professor of Ophthalmology at the University of Iowa. Dr. Lee came to Houston Methodist Hospital after serving on the faculty at both the University of Iowa, Baylor College of Medicine and the M.D. Anderson Cancer Center in Houston, Texas. He was an Alpha Omega Alpha Graduate of the University of Virginia School of Medicine. Dr. Lee did his Ophthalmology Residency at the Cullen Eye Institute, Baylor College of Medicine, Houston, Texas. He did a Neuro-Ophthalmology Fellowship at the Wilmer Eye Institute, Johns Hopkins Hospital, Baltimore, Maryland, and was a Fight for Sight (Herbert Tenzer Memorial) Post-doctoral Research Fellow at Johns Hopkins Hospital, Department of Neuropathology. Dr. Lee has published over 400 peer-reviewed publications and been the invited speaker at over 200 regional, national, and international medical meetings. He has been on the editorial board of 14 scientific journals including JAMA Ophthalmology, the Canadian Journal of Ophthalmology, the American Journal of Ophthalmology, the Japanese Journal of Ophthalmology, Eye, and the Journal of Neuro-ophthalmology.